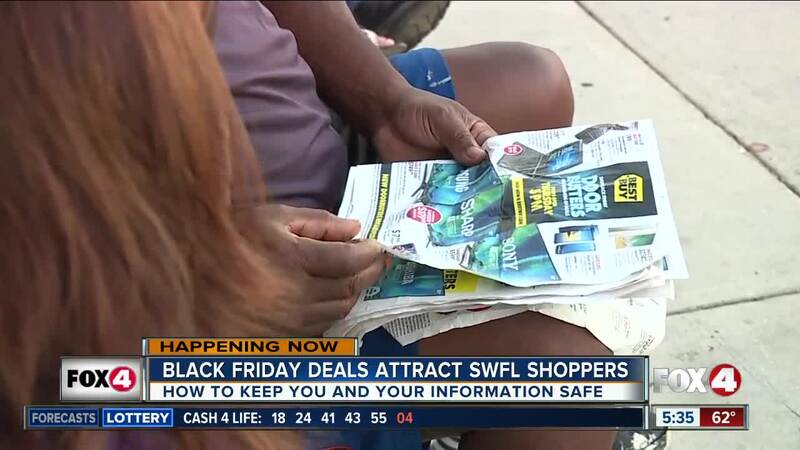 Shoppers are already hitting businesses in Southwest Florida for a variety of Black Friday deals, and 4 In Your Corner wants to help you know what to expect and know how to keep yourself safe. *Keep your purse close to your body or your wallet secure in one of your pockets. *Don't take money out until you are asked to do so. *If you're using a credit or debit card, only use one to avoid from multiple cards being stolen or tampered with. *If you're shopping with children, pick a location to meet should you get separated. Law enforcement also says to keep your keys in your hands at all times. Also, be aware of your surroundings and try not to be in a rush. For a look at online deals for Black Friday this year, click here .